The Ukip leader's warning comes as a growing number of voices in Westminster have made moves to push the case to keep Britain in the European single market. During his weekend radio show on LBC, Mr Farage claimed the "the political establishment is ganging up together to betray Brexit voters". 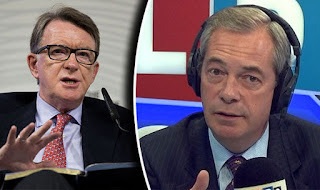 In just the past few days, Lord Mandelson, Tony Blair and Nick Clegg have declared their intentions to stop Brexit from cutting off ties with the EU. Mr Farage said: "Lord Mandelson, the cheerleader in chief, is trying to get us to stay in the single market." The MEP, who campaigned prominently for the Leave campaign, told his LBC audience: "If Brexit doesn't happen, there is going to be political anger that has never been seen in this country." He responded to Diana, from Putney, who called in to voice her frustration at the growing betrayal campaign. She told him: "There is a ridiculous argument that we know what we’re going to get if we stay in the EU. We don’t! "And the bits we do know about are not what we want." Mr Farage added: "Well, we do know that they want a European Army, they want everyone to join Euro, they want Turkey to join. "Who knows where the EU will be in two or three years, especially if they have another crisis in the Eurozone." 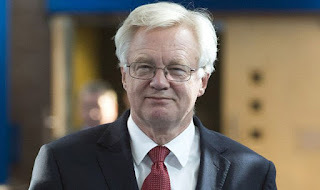 Fear and anger among Brexit voters were prompted after leading figures in Westminster revealed their plan to force the UK to remain within the customs union. Following Nissan's announcement to produce more car models at their Sunderland plant, former Lib Dem MP Vince Cable claimed that the Government's "assurances to Nissan" mean the UK will stay in the customs union. Sir Vince, a former Lib Dem MP said that Theresa May’s pledge to Nissan that the car industry will remain competitive after Brexit signals a promise that the UK will be staying in the EU customs union. Membership of the customs union would likely mean that the UK could not strike its own independent trade deals. The Government and Nissan have said there was no "sweetheart deal" but refused to deny a written guarantee was offered that gave assurances the company would not be disadvantaged by the Brexit negotiations. Sir Vince added: "The only way these big supply chain companies are going to commit themselves to Britain – and Nissan is the biggest – is that if they give them guarantees they are not going to be caught up in rules of origin problems, which is what happens if you leave the customs union. "And if you stay in the customs union, which I think is what we’re talking about, what is the role of Dr Fox? Because it means you no longer have an independent trade policy." Keir Starmer, the shadow Brexit secretary, has called on the government to explain fully the deal it has agreed with Nissan. Lord Mandelson, writing in the Daily Mail, has called on Britons to reject Brexit – just a few months after the historic referendum. He said: "If you believe that single market membership is the best way of ensuring a prosperous future, speak up for it. "It doesn’t make you a democracy-denier or a Bremoaner, it makes you a believer in free speech and possibly even a Brealist. "Tony Blair was right to say last week that it would be unacceptable for the Government to turn around in two years, present the country with a fait accompli and expect Parliament and the people to roll over in the face of a bad deal for Britain." 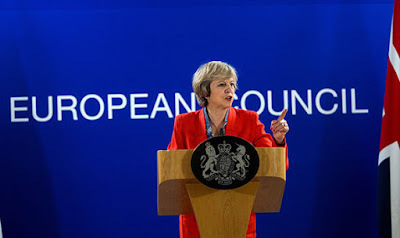 If Theresa May REALLY is supporting Brexit,she is in a vulneral position against the majority of the Conservative MP´s plus the ´Global Elite´ we really are fighting. Tony Blair is one of the most evil players in this Illuminati plot to create a NWO,so little wonder HE is giving his support. PLEASE remember this is not a governmental,political fight,but a FINAL showdown between the PEOPLE of Britain and the ´Global elite´ who is behind the European catastrophe, actively pushing and threatening millions of Africans and people from the Middle-East into Europe,causing chaos and disagreement between the members of the EU. The majority of the refuge seeking people belong to the Muslim faith, incompatible with ANY of the European religions,which amounts to euthanasia for Europe if not stopped, and the people returned to their home countries. A Brexit betrayal,ignoring the voice of the people at the invitation of our former PM, will, I can assure everybody,cause a revolution in Britain, with a violence never before experienced. 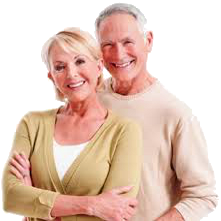 The Otium Post was started as a protection for expat Norwegians located in many parts of the world,covering such important items as pension entitlements,new taxes,bi-lateral agreements with Norway and other countries etc. etc. Other contents such as human rights,democracy and dangers from factions trying to destroy it is now contained in a new blog named Human Synthesis.